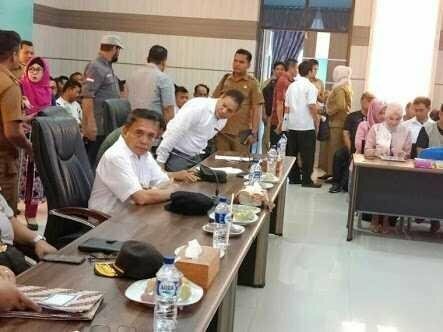 Aceh Governor Irwandi Yusuf Trapped KPK hand operation (OTT). As the number one government official in Aceh, Irwandi has a wealth of Rp 14 billion. Based on the Report of State Official Property Officers (LHKPN) owned by Irwandi seen detikcom, Wednesday (4/7/2018), the total assets of Irwandi as of September 19, 2016 amounting to Rp 14.83 billion. The amount is the total of Irwandi's assets consisting of movable property and immovable property. Irwandi has 8 mobile assets with total amount of Rp 2.05 billion. The immovable property in the form of land and buildings owned by Irwandi valued at Rp 3.72 billion. In addition, the governor of PKB's stretchers also has assets in the form of demand deposits and cash equivalents amounting to Rp 9.04 billion.